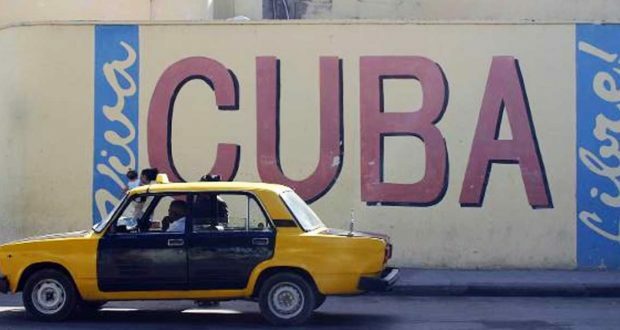 With Cuba to Soon Have a New Leader, Will A New Investing Climate Emerge? Cuba will name a new president within the next two weeks, meaning the country will no longer have a Castro as its leader for the first time in 60 long years. Miguel Diaz-Canel, the country’s current vice president is expected to be Raul Castro’s successor. However, his ascension to the presidency is not guaranteed. But, the celebrated event to reveal the statue ultimately backfired for Castro. “Now, instead of conveying continuity, the monument seemed to underline Cuba’s multiple challenges and shortcomings. Even the inscription to Martí’s life chiselled into the black marble plinth was marred by sloppy but indelible spelling mistakes. The Spanish word for city was misspelt “cuidad”, while “nacío”, supposedly “he was born”, does not exist at all,” writes the Financial Times. Raul Castro became Cuba president in 2008 and come April 19, six decades of Castro rule finally comes to an end. Raul Castro was the brother of the former Cuban dictator Fidel Castro, who established the first communist state in the Western Hemisphere. Raul will remain the leader of the Communist Party of Cuba until 2021. In 2013, Raul Castro announced that it would be his last five-year term as president, but earlier in the year his term was extended by about two months due to Hurricane Irma’s devastating hit to the country. While Former President Barack Obama was warming up to Cuba, President Donald Trump has been more more cautious, as he should be with any Communist country. “Staffing levels at the US embassy have since shrunk to levels not seen since 1977. Cuba’s economy, hit by Hurricane Irma and a near-halving of aid from Venezuela, remains on the rocks. Despite reforms launched by Mr Castro 10 years ago when he become president, which have led to the creation of 580,000 privately self-employed businesses, the economy is a third smaller than it was in 1985, according to a study led by Pavel Vidal, a Cuban economist teaching at Javeriana University in Colombia. No one expects abrupt change when Mr Castro and other gerontocratic members of the so-called historic generation who led the 1959 revolution move on,” writes the Financial Times. Trump’s recent moves to rollback Obama’s Cuba policies were done to halt U.S. dollars from funding Communism. With a new leader in Cuba though, this could still be the start of a new era. If Díaz-Canel is selected it will be a symbolic change for the regime, but will he really be much different? “Experts describe him (Díaz-Canel) as a true believer in the Marxist-Leninist ideology that formed the basis of Fidel Castro’s government. He supported the marginal changes implemented during the 12 years of Raúl Castro’s rule, such as allowing Cubans to buy and sell property for the first time, work privately outside the state-run economy and get slightly expanded access to computers, cellphones and the Internet,” writes USA Today. “Imperialism can never be trusted, not even a tiny bit, never,” said Díaz-Canel. Author’s note: Trump supports the Miami Cubans, but not communism. A new leader may be more open to negotiations and better relations with the U.S. Time will only tell though. Editor’s note: The potential for investment in Cuba is massive. Countries that are not forbidden access now may be making a claim in anticipation that as restraints lift, U.S. investors will invest heavily. I believe the communist sentiment and the authoritarian control will eventually go away, but it will be a bumpy road.